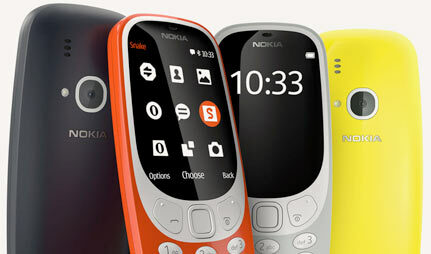 Not just an exercise in nostalgia, the all-new Nokia 3310 arrives with a host of new features alongside the old favourites. This means an epic battery and classic Snake game, accompanied by colour display, MicroSD slot and rear-facing camera. As the perfect smartphone alternative, this snazzy and simple device offers benefits you don’t get from even the latest smartphone – namely a battery that lasts for weeks on end. It’s also less prone to shattering when dropped, and let’s not forget the welcome return of physical buttons! One area where Nokia have chosen to make a few tweaks is in the appearance, with the all-new Nokia 2017 arriving in a choice of bright colours that are sure to catch your eye. The display is also now full-colour, complete with a polarised layer to deflect the glare of direct sunlight. There’s no point denying it - everyone’s favourite feature of the original Nokia 3310 was the Snake game. 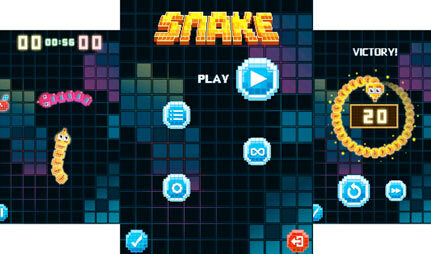 We may live in a world of blockbuster mobile games like Pokemon Go and Mario Rush, but nothing can ever compete with the charm of Nokia Snake. The Snake you know and love has been updated - it now takes full advantage of the colour display, and is even more fun than you remember. Purchase the new Nokia 3310 at your own risk, as you’re about to become addicted to Snake all over again. Another new addition to the Nokia 3310 is a rear-mounted 2MP camera, because even with a basic phone, you never know when you’ll be in the middle of a perfect photo opportunity. With an LED flash also present, you can now capture every special memory, day or night. In addition to this, there’s also an mp3 player to ensure you’re never without tunes wherever your day may take you. 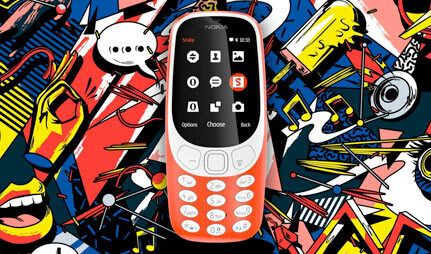 The new Nokia 3310 comes with 16GB of internal storage for all those photos and tracks, which can be boosted to 32GB via microSD card. Nokia is back, and this time it's tapping into the high-end smartphone market.